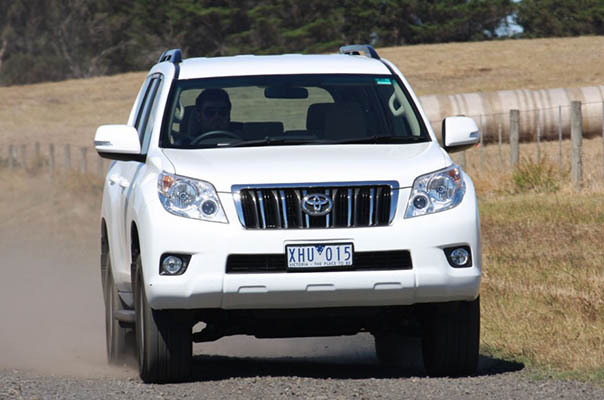 Toyota Prado is very reliable and hardy car. This car is for your holiday. The car has perfect driving conditions both on the track and off-road conditions. The car will provide you with comfort during your vacation. It has the amazing trim: soft and comfortable. Toyota Prado combines Japanese motifs and European style. This makes it so unusual and attractive. This is one of the most exciting cars in terms of design. The SUV has unusual bright lights, which immediately attract attention and it has “numb” wings, which is also very unusual. The car has very smooth motion, low noise, it is easy to understeer when cornering. The salon of this car is very comfortable and quite spacious. The body is tall and it gives a good overview for passengers and driver of SUV. The salon of this car is for 7 people. Also, there are two additional seat (cloth) that can be used if necessary. The car is very safe. Among the models in this class, it is recognized as a model that provides the highest safety in the event of a collision with another road, or when driving over an obstacle. The body of the car has a special deformable area. They are intended to absorb the impact force and prevent passengers to suffer. Also, this car has the airbag (both for passengers and for the driver). Airbags are equipped with distance sensors and seatbelts. In addition to the mechanics, this car has the whole arsenal of electronics. In particular, it has the TEMS rear air suspension, traction control A-TRAC, the help system when going up and down, ABS with brake assist “BrakeAssist” and VSC system of exchange rate stability. Thus, the SUV is not only very stylish and powerful, but also very reliable, which, of course, is its main advantage of this car. For all issues related to transport, leave a request to our e-mail service@elitetours.uz or call +99871 1297777 (Timur).